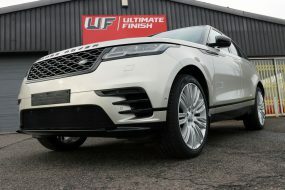 Whenever a customer calls the Ultimate Detailing Studio to book a New Car Protection Treatment we always ask the car is delivered to us without having been washed or prepared by the dealership. 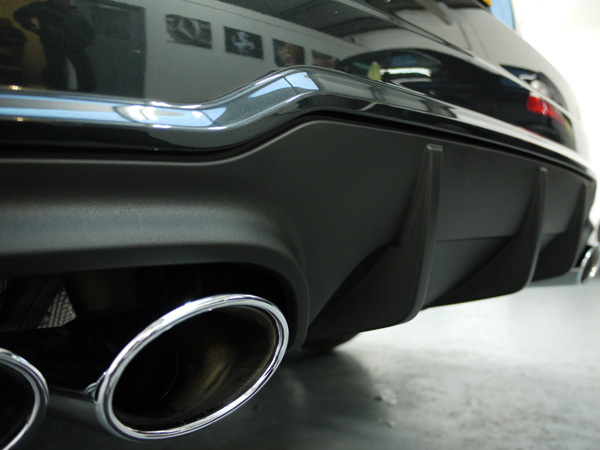 The reason behind this is very simple – we like to be the first to get our hands on the paintwork to ensure it is correctly prepared without introducing scratches or swirls. 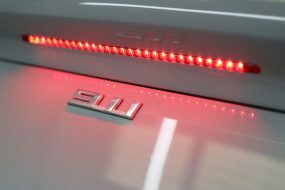 The latest visitor to the Ultimate Detailing Studio already knew the potential issues caused by poor washing and polishing techniques, and so left strict instructions with the dealership that his C63 AMG Coupe 6.3L v8 was not to be touched when it came off the transporter. Having collected the car he brought it straight to our Brands Hatch studio for a New Car Protection Treatment. New Car Protection is all about getting your car care routine right – right from the start. 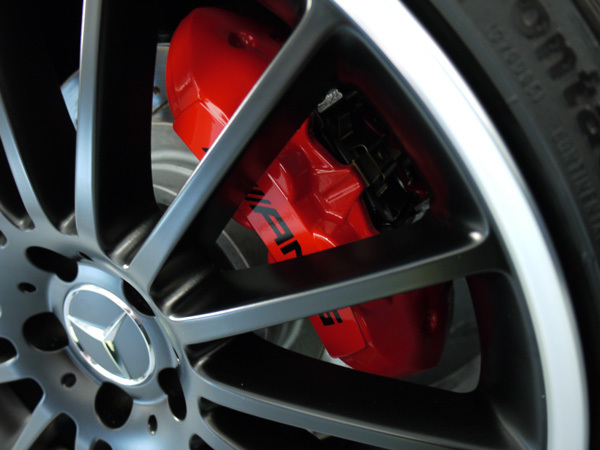 If paintwork and wheels are properly protected the maintenance process becomes much easier – and safer! 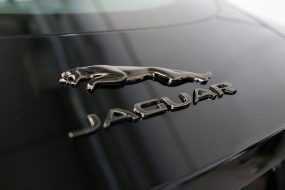 A well-maintained car not only looks good, but also helps safe guard its resale value for the future. 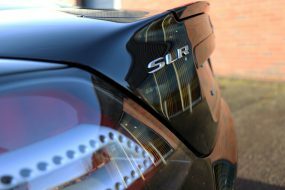 Ultra durable glass-based (Silica / SiO2) sealants are the ideal solution to protecting your vehicle’s paintwork, trim, glass and wheels. 22PLE VX1 Pro Signature Glass Coat is a glass-based sealant which cures to form an exceptionally hard, scratch resistant surface. It is also highly hydrophobic (great water beading properties), oleophobic (oils and greasy road grime do not stick to the paintwork) and dirt repellent (so it’s much easier to wash!) 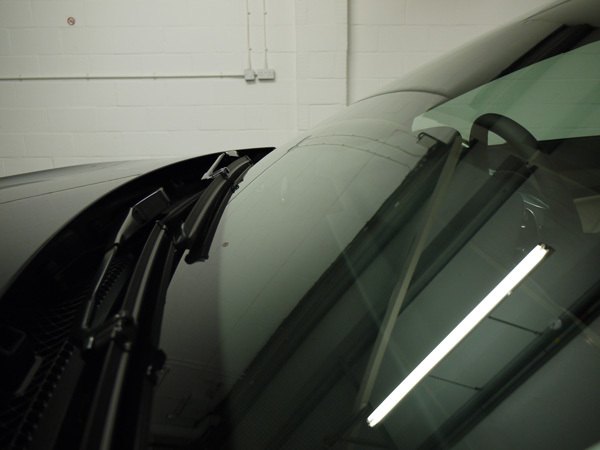 If new paintwork has an armour coating such as this, the chances of introducing swirl marks (usually unwittingly introduced during the weekly wash process) or picking up scratches along the way are significantly reduced. 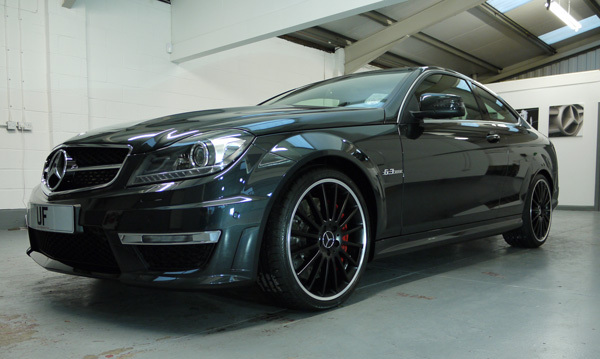 The Mercedes arrived at the Ultimate Detailing Studio and after checking the paints condition and depth, our inhouse Master Detailer set about giving the AMG a careful and thorough clean, beginning with a pre-wash using Ultimate Snow Foam and finishing the process with Meguiar’s Shampoo Plus. Cleaned and dried, the C63 AMG was ready for refining the paintwork using the Flex PE14-2 Rotary Machine Polisher, 3M Ultrafina SE Polish on a 3M Blue High Gloss Polishing Pad. The painted panels, trim and wheels were all wiped down with IPA before the first layer of 22PLE VX1 Pro was applied and after allowing it to cure for five hours a second layer was added. In the meantime, our Master Detailer took care of the satin-finish wheels. 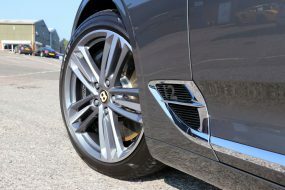 Satin wheels invariably need careful preparation as using the incorrect cleaner and sealant can result in an unwanted gloss to the special finish!. Whilst there isn’t a product available that will protect against kerb collisions, a good, durable wheel sealant such as Gtechniq C5 Alloy Wheel Armour or 22PLE VM1 Signature Rim & Metal Coat is vital. A good wheel sealant should be able to withstand high temperatures, resist road grime and inhibit brake dust build up thus avoiding costly etching of the wheels finish. The plastic trim around the wing mirrors and on the rear diffuser was coated with 22PLE VR1 Plastic & Trim Restorer – a super durable and elastic coating that will last for up to 12 months. Treating the glass is equally important to the overall look of the vehicle as well as being necessary for clear vision during heavy rain. 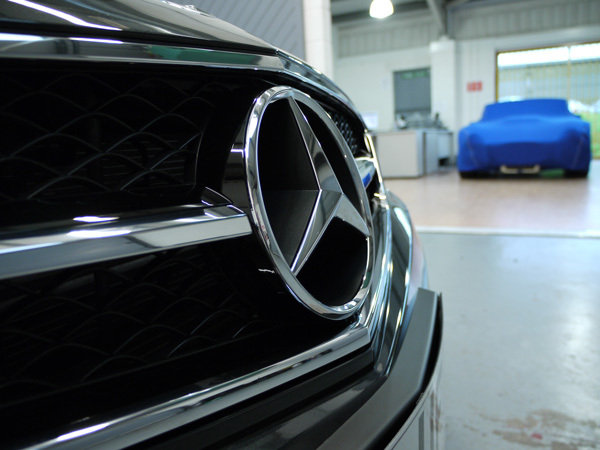 Our Master Detailer prepared and treated the windows on the AMG with Gtechniq G1 ClearVision Smart Glass, a durable glass sealant that allows water to bead on the surface of the glass and disperses without the need for wipers! – thus greatly improving vision. Suitably protected, the AMG was now ready for the road. It almost looked too good to take it out when our customer picked it up – blowing a gale and raining hard – but at least the car is now fully protected from the English weather! Dehumidifiers Put The Brakes On Winter Damp!